So today I unexpectedly knit half of a sock. Love it when that happens! Luscious colors; what’s it called? It is Eta Carinae from String Theory Colorworks. Oh, and it’s on the Orbit base. “Unexpectedly”??? How does that happen? You weren’t paying attention and a sock appeared? You went outside to garden and came back in with a sock? HAHAHAHAHA! LOVE the yarn! Pretty much! I just had it around while I was doing other things around the house and suddenly it was kind of done. Sport weight socks are like that for me. 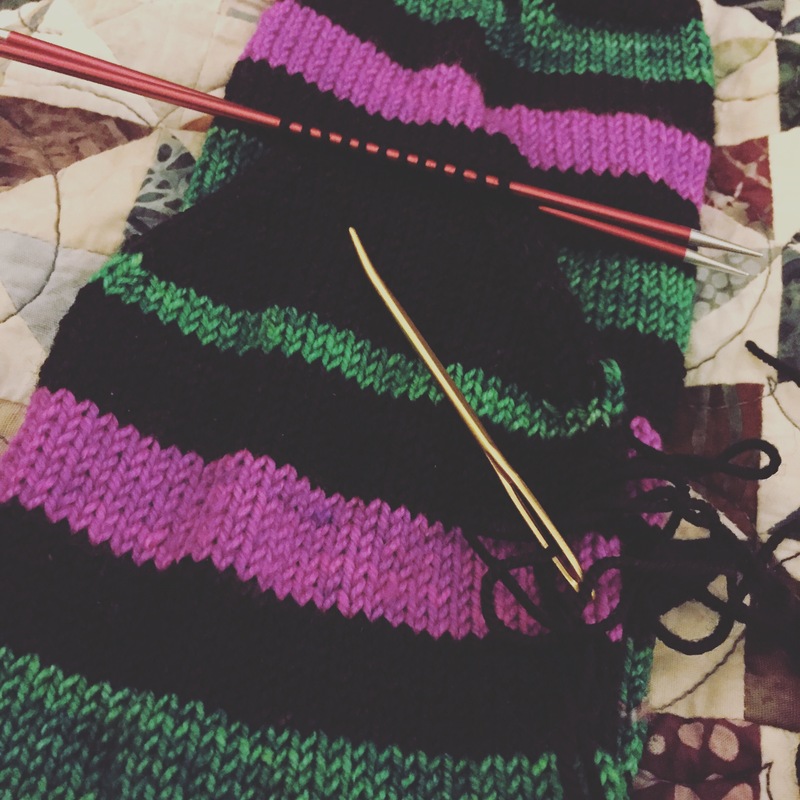 I just passed the heel on sock #2 last night.